You are at Downtown Disney. You are starving. WHAT DO YOU DO?! There are some amazing Downtown Disney restaurants that are just waiting for you take a break from buyiing your Disney souvenirs. 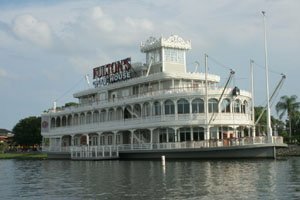 I have compiled this list of Disney World restaurants in and around Downtown Disney, complete with addresses, phone numbers, and reviews. Happy eating! If you're visiting the Magic Kingdom, take a look at my reviews for restaurants INSIDE Disney World's Magic Kingdom and OUTSIDE Disney World's Magic Kingdom. What are YOUR favorite Downtown Disney restaurants? What Disney World restaurants are in Downtown Disney?